Best quality fanless replacement LED headlight bulb fit for all car 25w 2500lm 6000k on sale from leading China supplier with inexpensive cost, no noise and no extra ballasts or drivers needed, CE certificate compliant, the fanless design ensures L15S LED headlight close to original halogen bulb in size and shorter than LED headlights with fans, thus it is more flexible for installation and it can be installed on almost all vehicle brand and models on the market. Send us inquiry today to get the most favorable LED headlight price ! Fanless LED headlight or LED headlight with fan, which one is better ? Numerous car owners upgrade their factory original headlights by switching halogen headlight bulbs to LED headlight bulbs. 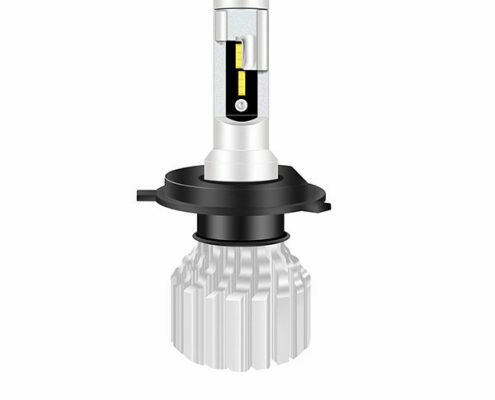 These light bulbs give brighter illumination, form ideal beam in both projector and reflector headlights and with a much longer working life than normal halogen headlight bulbs. The only concern of the LED headlight bulbs is too much heat they generate. For this reason, a lot of LED headlight bulbs come with cooling system that allows decreasing temperature level. 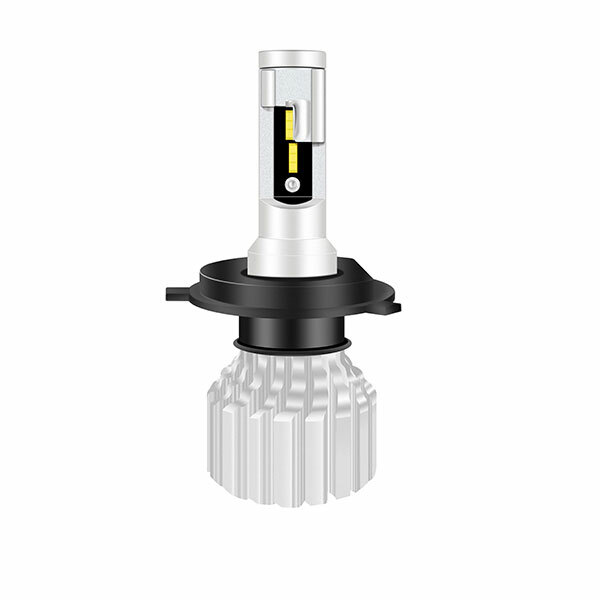 Modern LED headlight bulbs for low and high beam upgrade their cooling system by fan or fanless devices. So, fanless LED headlight or LED headlight with fan, which one is better ? Let us explain their working principle, advantages and disadvantages, so you can decide which one is better for your automobile wisely. Reasons why LED headlight need additional cooling system ? LEDs utilize the light emitting diode itself as well as an integrated microprocessor ( usually combined into the PCB) to provide sufficient light for cars. They generate a lot of excessive heat, if the heat was stuck in the headlight assembly, the assembly will easily became yellow and also the inner parts would be damaged. So, each LED headlight bulb need a cooling system to ensure long life span: either fanless or with a cooling fan. LED headlights that equipped with cooling fan ( some one may call it turbo fan, actually it is the same thing ) use active cooling method. It implies that the fan running and bringing out heat. 2. keep the same brightness all the time. 4. the cooling fan consumes additional power. LED headlights with fanless cooling method, either by braided copper heat sinks, or get cooled by means of alluminum light body ( this is the cooling method Loevet fanless LED headlight adopts ), the heat will be conducted outside naturally. Loevet fanless LED headlight bulb has a smaller size. 4. they are more cost effective. I hope after reading of above information, you can decide most suitable LED headlight for your car now.